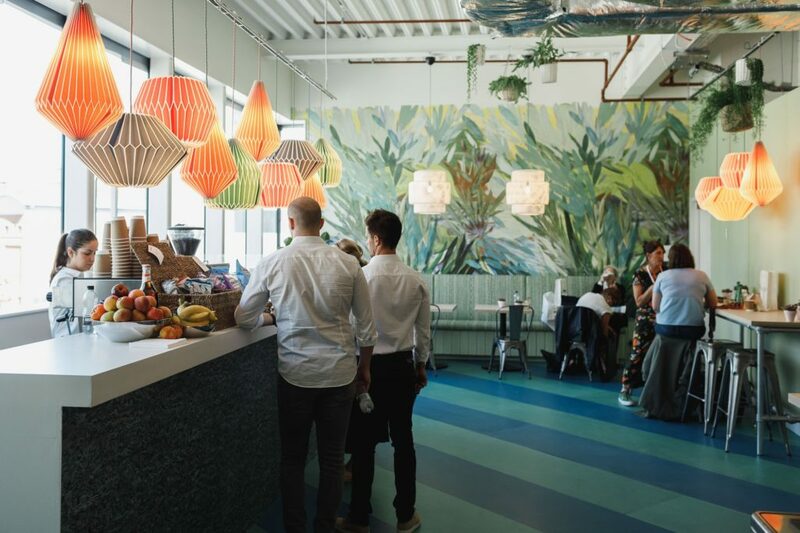 Specially commissioned restaurants, pop-up bars and cafés are an integral element of Focus/18, offering stylish places to eat and drink, alongside plenty of design inspiration. 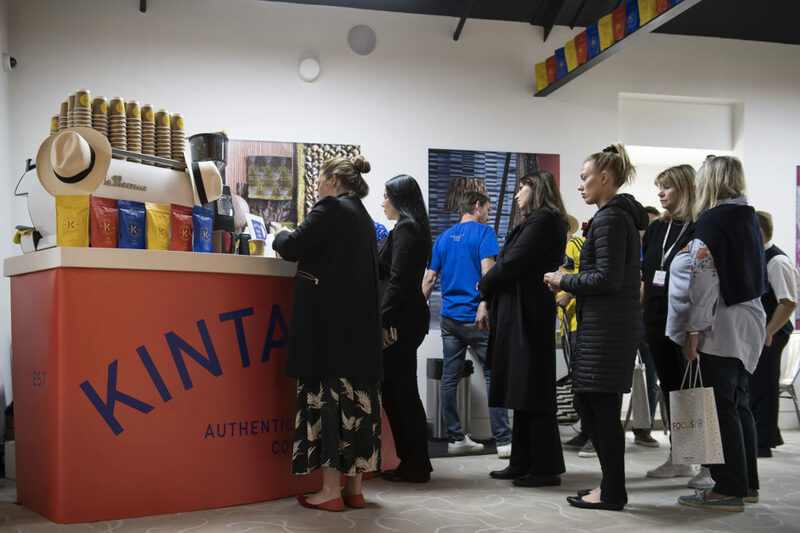 This year there are options in the domes and Design Centre East, so make time to relax and catch up with friends, colleagues and clients at one of these convivial spaces. Take a seat at one of the individual tables or perch at the central bar at this stylish dining destination. The Italian menu by Absolute Taste is complemented by a well-chosen wine list. Picking up on the theme of creative excellence, the colour palette takes its cues from smart ink and jade, combining sophisticated patterns with luxurious textures. For reservations call 020 7351 5362. 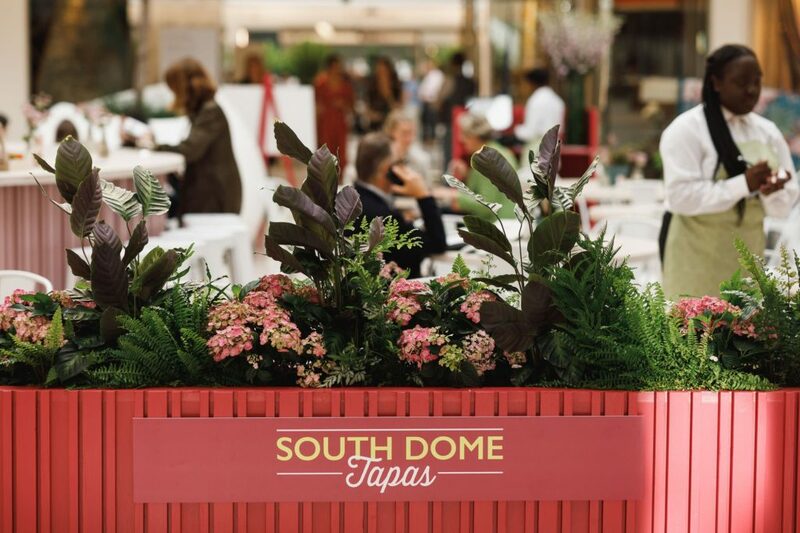 Experience the buzz during Focus/18 at this informal, all-day dining destination in the bright, airy South Dome. 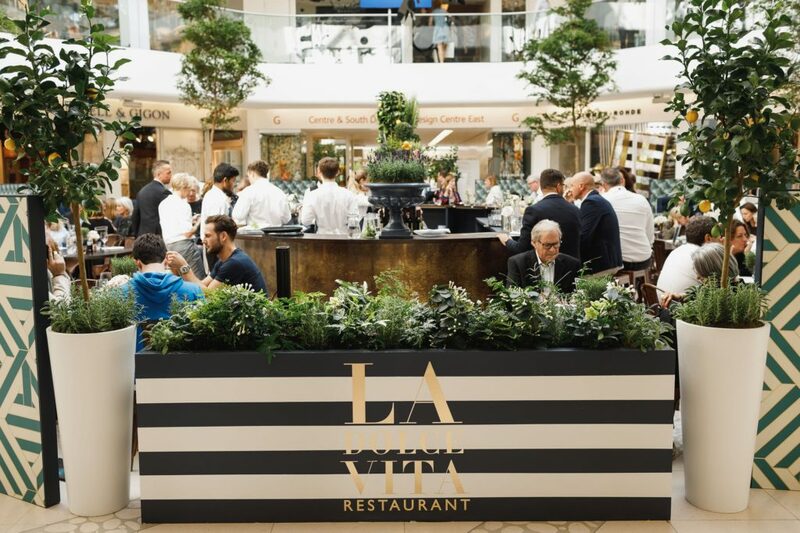 Enjoy modern tapas from the counter, all freshly cooked using seasonal ingredients. The decor has a similar vibrancy, reflecting the positive power of colour that is in the ascent. To reserve a table please call 020 7351 5362. Drop in to this refuelling experience set within a lively tropical setting. 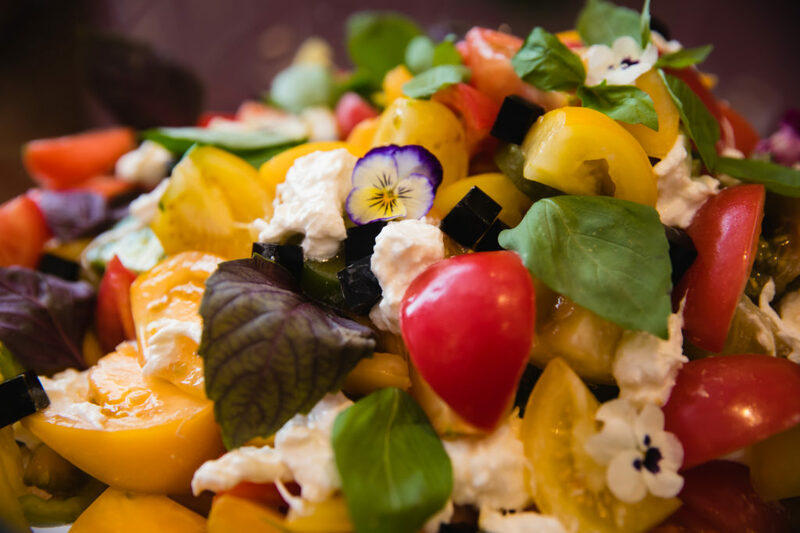 Serving a fresh and seasonal deli menu of artisan patisseries and cakes, salads, sandwiches, juices, tea and the finest coffee. 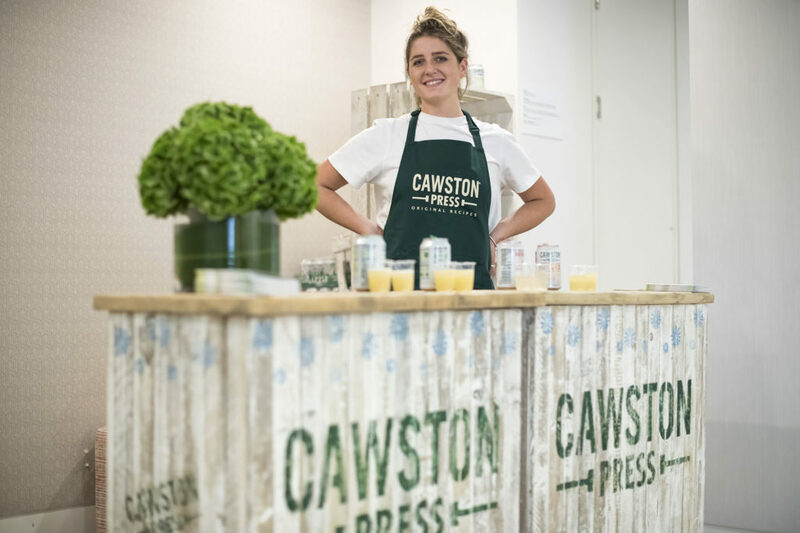 Enjoy a free drink from Cawston Press. The award-winning range conjures up a nostalgic taste of summers past. Using only the finest ingredients inspired by British kitchen gardens, which are picked at harvest time, the drinks are brimming with flavour. Simple, clean and trusted ingredients with absolutely no artificial nasties added. Collect a token on registration. Enjoy a free coffee from Kinta Loma. The Colombian family-owned, sustainable coffee company takes pride in making some of the world’s finest coffee in an unapologetically Colombian way. Adhering to the highest ethical coffee standards, all aspects of the business are environmentally friendly; from fully biodegradable capsules to 100% recyclable packaging, chemical-free production processes to the wellbeing of farmer communities. The company sources only the highest quality single-origin coffee beans from carefully selected regions in Colombia. Collect a token on registration and head over to the café for a delicious coffee and a chance to win a free subscription and other goodies. For something fresh and fast, drop in and pick up a sandwich, salad or sushi, coffee or juice from this grab-and-go pop-up.